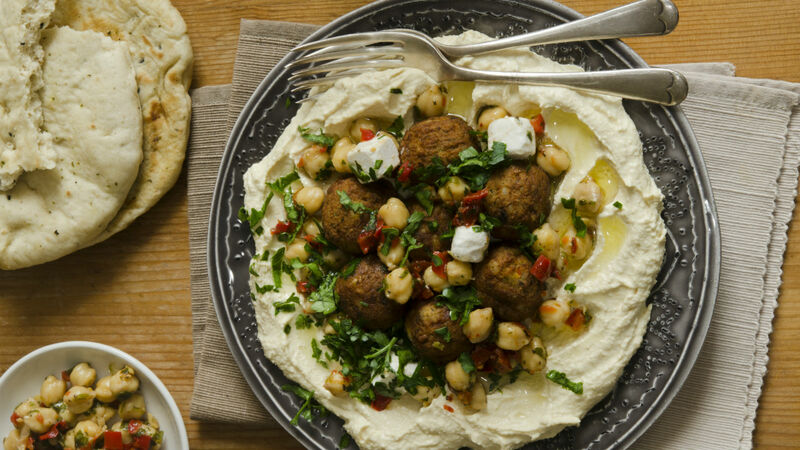 So many delicious Israeli-inspired foods are now available at our favorite supermarket. Not that I’m complaining, but have you noticed how many Israeli-inspired products Trader Joe’s has been selling lately? And it’s no surprise, considering the way Israeli food has been trending across the U.S.
For many years Trader Joe’s has offered an array of hummus, tahini, and dips, as well as frozen falafel, challah, and other traditional Jewish foods. But in the past six months they have jumped right on the Israeli food bandwagon: First it was bamba, then it was a boxed mix falafel and marinated chicken shwarma thighs, and now it’s zhug (zhoug), a spicy Yemenite condiment which isn’t too common to find outside of Israel or specialty Middle Eastern stores. 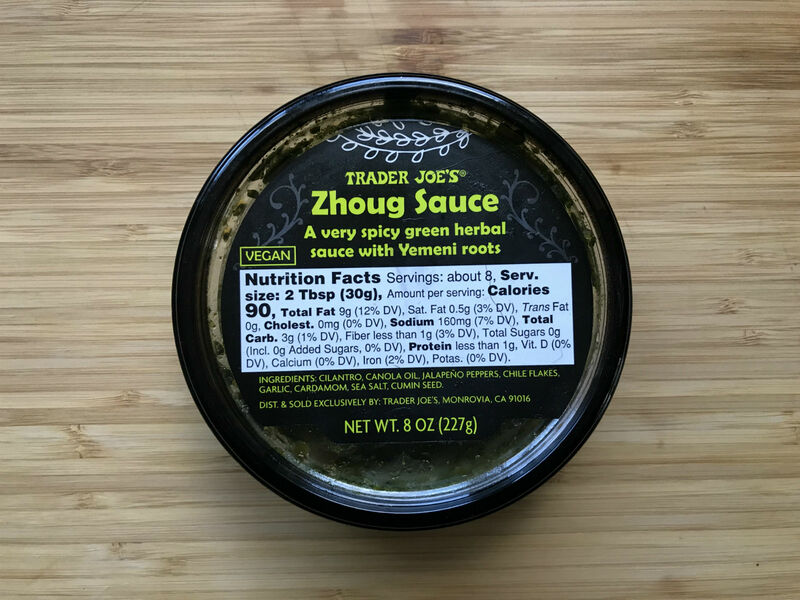 My family has become addicted to Trader Joe’s zhug, adding it to hummus and pita at snacktime or on top of shakshuka for brunch. I know that some Trader Joe’s products come and go, but I hope the Israeli staples will remain.